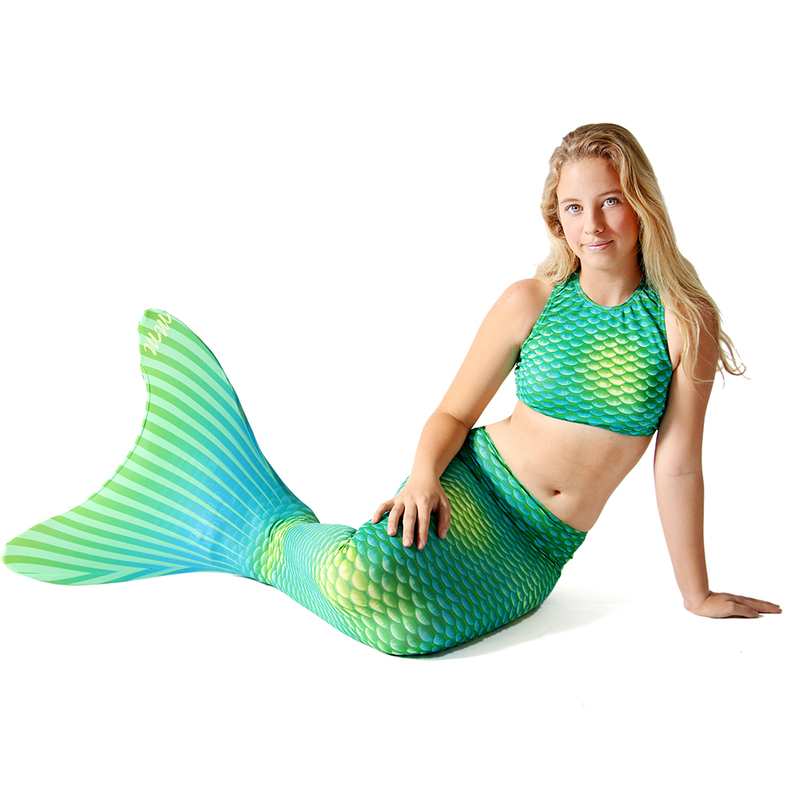 AN ADULT MUST OBSERVE AND TEACH THEIR CHILDREN HOW TO SWIM IN THE MERMAID TAILS. 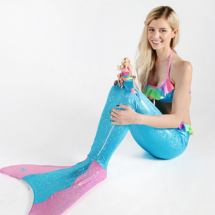 The Magical Mermaids tails are not flotation devices. 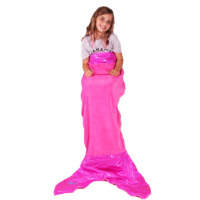 Our Monofins are light and easy to swim with. All it takes is a bit of practice. 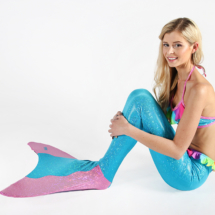 You will need to learn the dolphin or butterfly kick. 1. 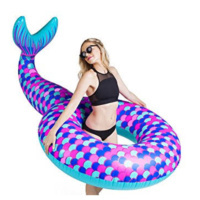 You need to be able to float on your back and relax. 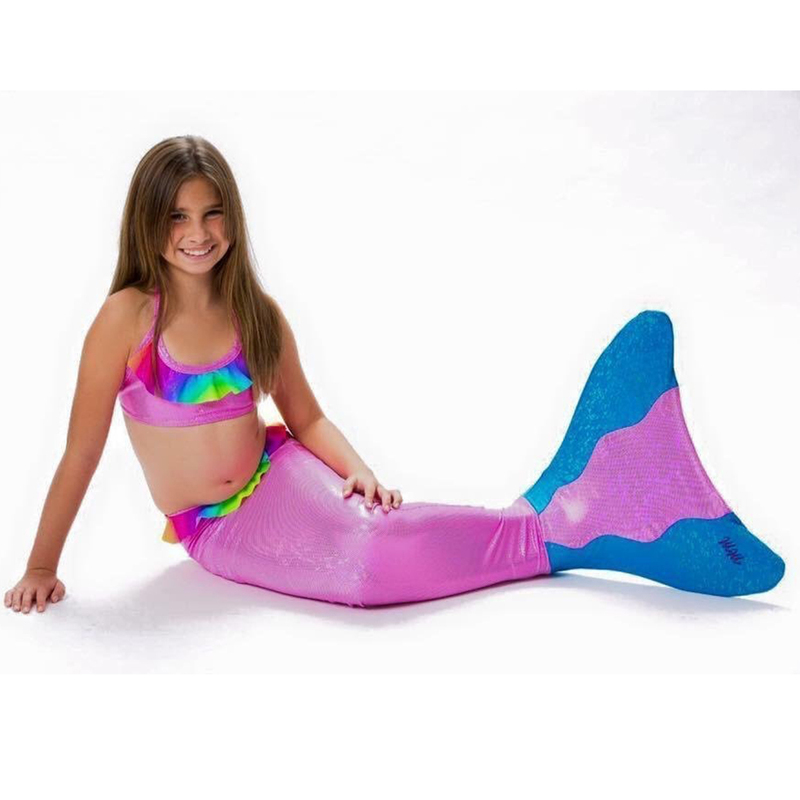 It is important that you know how to relax in the water if you are getting tired. 2. You need to be able to swim across a 25m meter pool with no assistance from the sides. 3. You need to know how to do the butterfly kick 5-10 kicks on your front and on your back. Please note that any sporting / action equipment has its dangers. 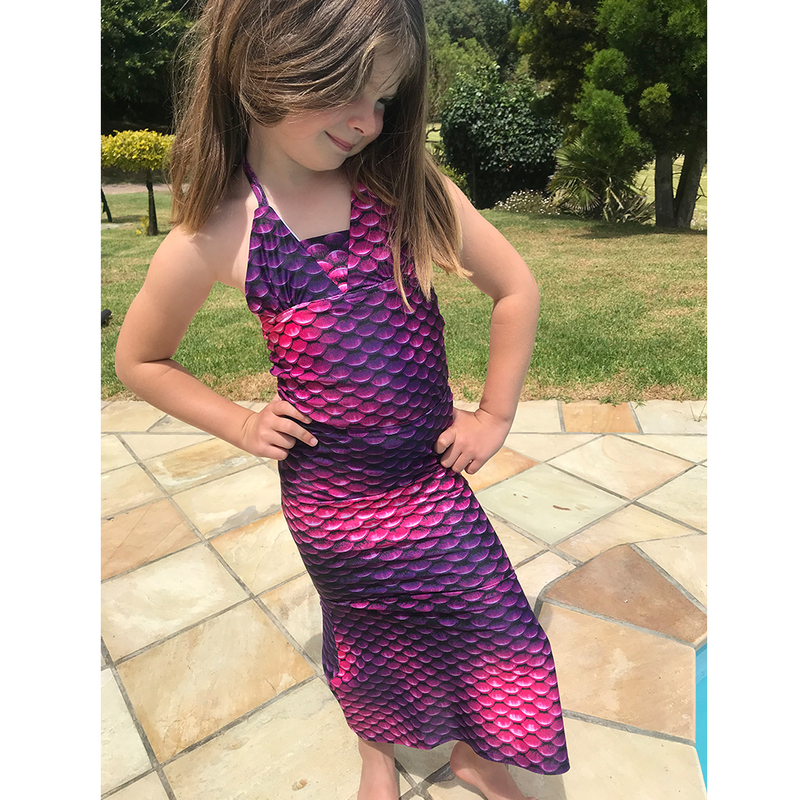 We have a range for the children (5 and under) that cannot yet swim with confidence. My Little Sister!! 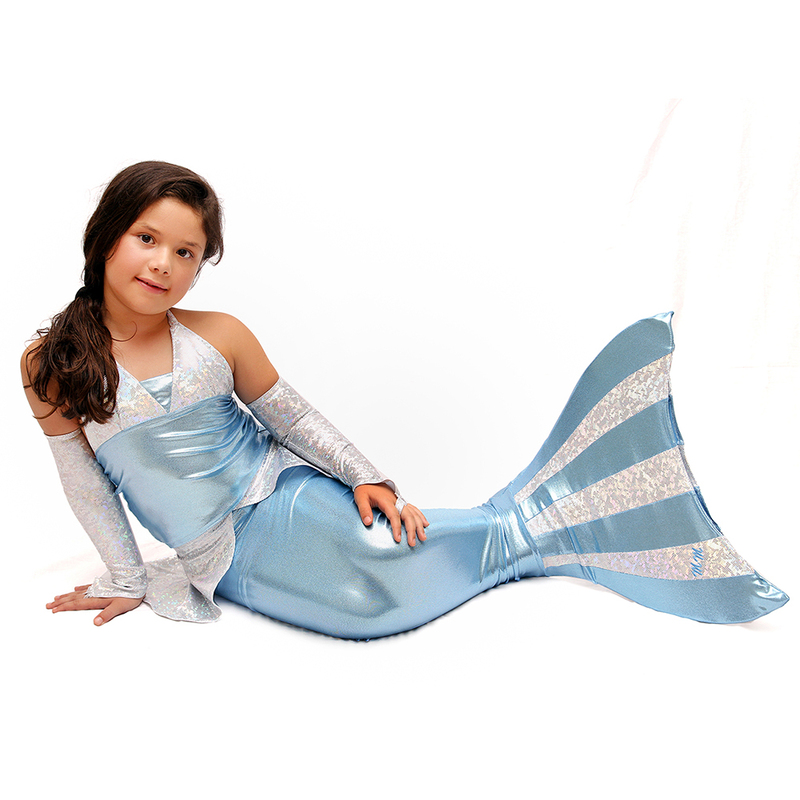 The cutest little Magical Mermaids suit that allow the children to walk freely and still look and feel like a Magnificent Magical Mermaid! 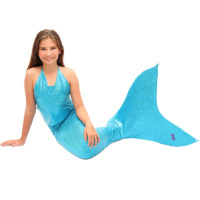 And lastly; if you are not going to watch your children while they are swimming then this is NOT the product for you. 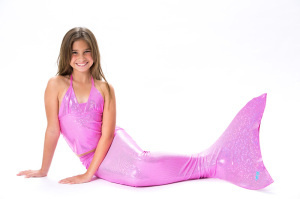 Otherwise – Magical Mermaids brings an abundance of fun into the family!